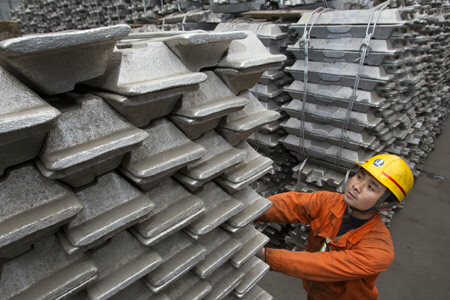 The U.S. Commerce Department said on Friday it made a preliminary finding that China dumped aluminum foil on the U.S. market and imposed duties ranging from 97 percent to 162 percent. importers of aluminum foil from China based on these preliminary rates. In 2016, U.S. aluminum foil imports from China were valued at $389 million, it said in a statement. The department said it will issue its final determination on Feb. 23, 2018. From Jan. 20, the day Trump took office, through Oct. 25, the Commerce Department said it initiated 77 anti-dumping and countervailing duty investigations, up 61 percent from the previous year. Such protectionist measures fly in the face of basic free market philosophy, They ignore the value that emanates from the division of labor and even unilateral free trade. It is an indication of economic ignorance, cronyism or both. Aluminium foil is widely sold into the consumer market, expect prices to climb. Thanks, Dotard, for protecting us from that inexpensive aluminum foil. I feel safer already! Why dont you run for office and see if you can do better in that cesspool of corruption.